The benefits of pistachio oil for hair was covered in 5 Ways to Get the Benefits of Pistachio Oil for Your Hair. 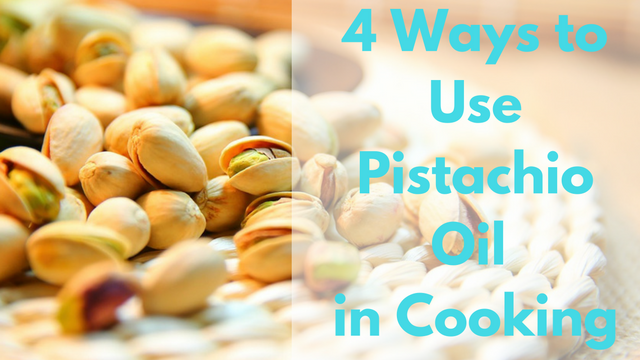 This article will explore cooking with pistachio oil in more detail. 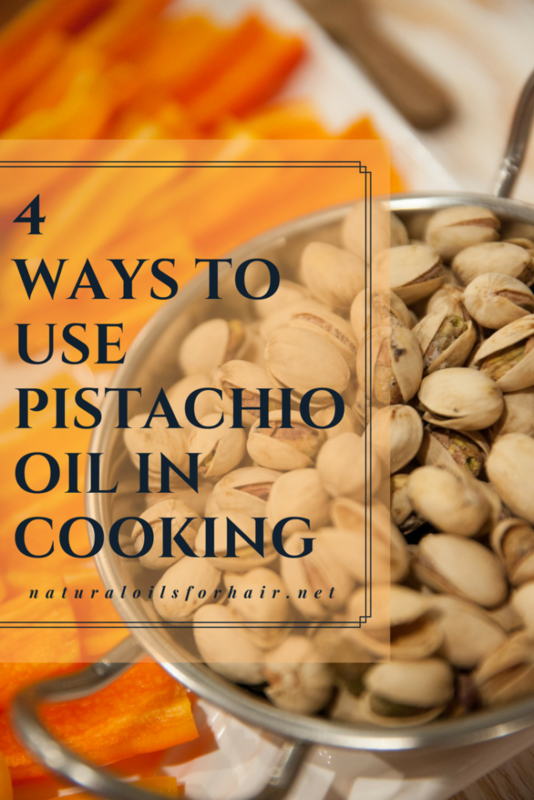 By the way, pistachio oil is one of the recommended natural oils for cooking on the keto diet. Pistachio oil has a ceramides concentration of 32.7%. However, due to its high cost, it’s not a common ingredient in hair care. Pistachio oil is cold pressed from the pistachio nut native to Asia and the Middle East. Pistachio oil has an intense nutty flavour with a vivid green colour. Due to its intense taste, it works best as a flavouring to dishes. Pistachio oil is rich in vitamin E – promotes healthy skin, cell renewal, and cell regeneration. Pistachio oil helps lower bad cholesterol levels in the body. Pistachio oil is rich in antioxidants that neutralize free radical damage in the body. It’s a heart healthy oil and one of the oils promoted for cooking while on the keto diet. Pistachio oil contains carotenoids and lutein that protect the eyes from like cataracts and macular degeneration, which show up as we get older. Pistachio oil makes a great dressing for salad. While there are many ways to combine it for this purpose, there are 2 recipes I’ve used that works great across all salads. Pistachio oil, balsamic vinegar and a dash of honey and pistachio oil, lemon juice and a dash of honey. You can also season with salt and black pepper. I eyeball the recipe based on the salad size. Drizzle it over steamed vegetables for a burst of great flavour. If you’re not a big fan of veggies, pistachio oil will make the taste more appealing. When grilling or pan frying chicken or salmon, brush lightly over the dish a few minutes before turning off the heat. The smell as the oil warms up is divine! You can use it as a dipping for bread or brush it over bread before toasting for a sandwich. I haven’t tried pistachio oil in baking yet but it makes an excellent replacement for butter in baking. I explored that in 5 Natural Oils You can Use for Baking Instead of Butter. A comparable oil to pistachio oil is walnut oil, explored further in Healthier Salad Dressings with Walnut Oil.